Thornton Township, the largest township in Illinois, is giving away more than 4,500 toys to community residents as well as 7,000 free holiday food baskets during its annual Christmas Care program. The program has been going on for more than a decade. The event will take place from 10 a.m. to 3:30 p.m. Saturday, Dec. 16 at one of our Thornton Township Building, 16910 Westview St. in South Holland. In addition, we wrap presents from Dec. 5 to Dec. 13 at the same building in case television stations want B-roll of that before they come. 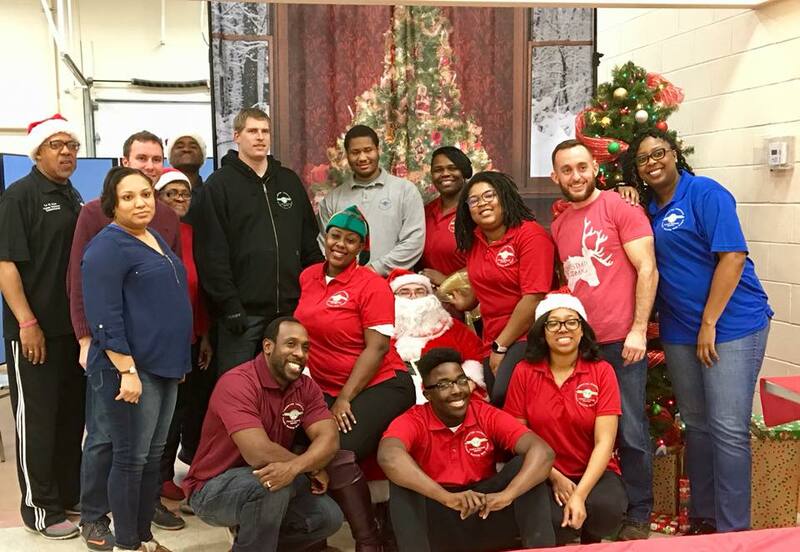 Thornton Township held its annual Holiday Dinner at South Suburban College with more than 1,500 people served. Thornton Township President Frank M. Zuccarelli, its Board of Trustees along with Township Clerk Jacqueline E. Davis-Rivera hosted its holiday dinner to residents. According to Clerk Rivera, “I am so grateful that we have made it another year and this is our 17th year doing this.” Rivera continues, “We gave away hundreds of turkeys because we are here to serve the community.” Zuccarelli said, “We enjoy any opportunity that we have to bring the community together for fellowship and to serve them in any way that they need. This annual holiday dinner is something that people look forward to every year and it will continue to grow. 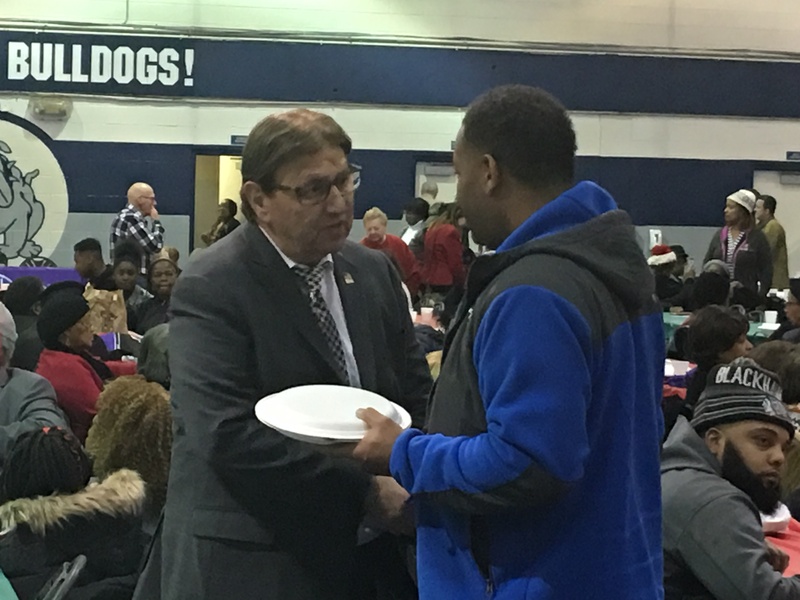 We appreciate our residents and want to show them support in every way.” Zuccarelli walked the fieldhouse shaking hands as people lined up to receive holiday dinners. The Human Relations Commission volunteered and helped serve dinner. Trustee Joyce Washington is the Chairperson of the Human Relations Commission. “We are very thankful this holiday season to give to those that have given so much to the township,” said Washington. The dinner also included live entertainment. Thornton Township was awarded two prestigious media awards at the annual Township Officials of Illinois honors. The township won best Illinois Township Website and best Illinois Township Social media. “We have never won an award for our communications before and I am proud of our department that they are doing such great work to educate the community about our services,” said Frank M. Zuccarelli. Department pages: Created a detailed department site for each of our 11 departments: Assessor, Clerk, Community Relations, Food and General Assistance, Other Services, Senior Services Special Services, Transportation, Youth and Family Services, ZAP. Each page has a blue header that describes in a few short sentences the department’s goal along with a photo of the head of the department and a phone number to reach them. It also has a short video of the director of that department explaining the highlights of their program. Jobs page: Even with the economy doing better, people are still either looking for work or are underemployed. We believed it was important to also host a job pages on our Website. Any company from within or outside the township can give us a flyer and we will post available jobs for the community. Thornton Township looks to be a resource for our residents who are both in general assistance and those who are not. We want to be a one-stop shop for many of their needs. Social Media: At the top of the page are all our social media icons that people can click directly to log onto. Also, we made it easier to always get back to the homepage by clicking on the Thornton Township icon. Community Page: We believe in the importance of local government connected to schools. They are the future leaders and we wanted to highlight their achievements. We have a separate page within our Website that focuses the public high schools within the township and various students doing incredible things. 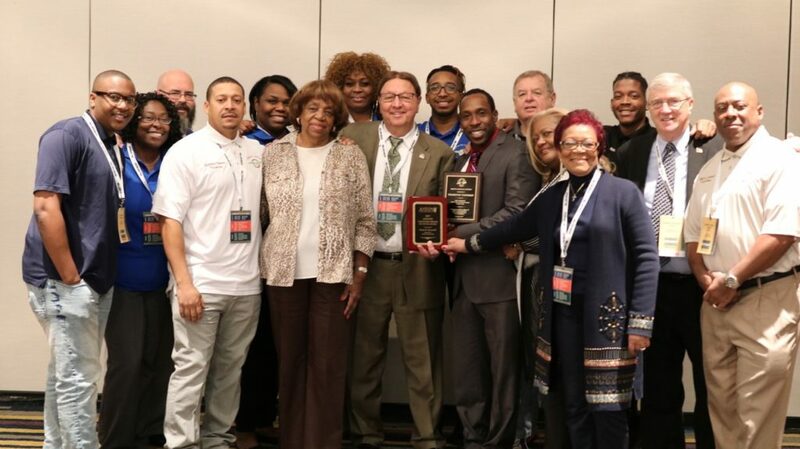 “We have never won an award for our communications before and I am proud of our department that they are doing such great work to educate the community about our services,” said Frank M. Zuccarelli, Thornton Township supervisor. 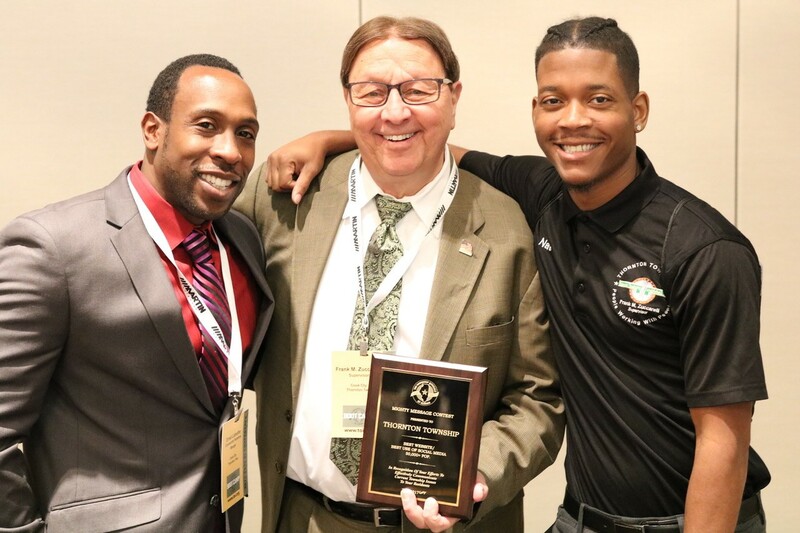 In addition, Zuccarelli received the Friends of the Youth Award for his diligent work of expanding services and programs for the youth and adult services department. Thornton Township Supervisor Frank M. Zuccarelli understands first-hand the importance of veterans. As an Air Force man, he served his country and admires the determination and integrity of the men and women who have served our country. The township hosted a Veterans Day event attended by more than 100 people. Each veteran who came to the event received a personal pin that was placed on their jacket by Zuccarelli. 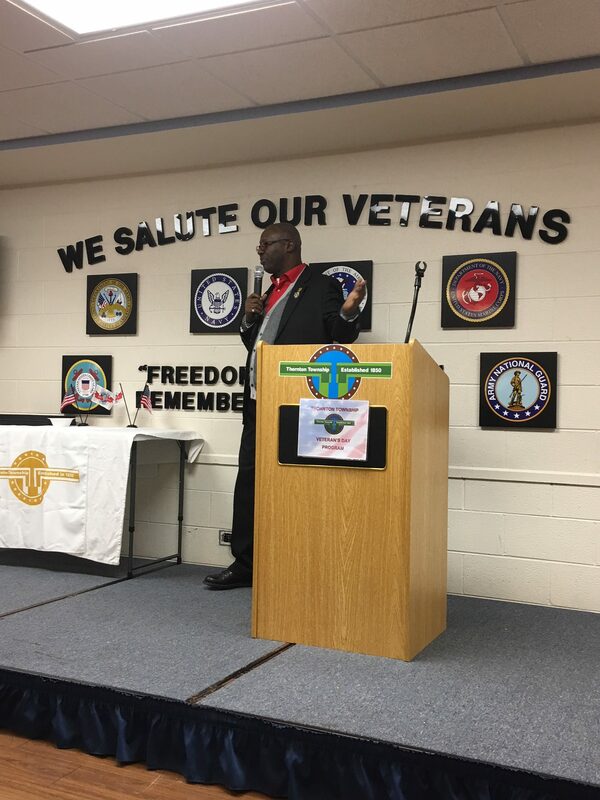 Keynote Speaker Commander Marvin Gardner for the Veterans Strike Force organization addressed the Veterans Day audience. This holiday started as a day to reflect upon the heroism of those who died in our country’s service, and was originally called Armistice Day. It fell on Nov. 11 because that is the anniversary of the signing of the Armistice that ended World War I. However, in 1954, the holiday was changed to “Veterans Day” to account for all veterans in all wars.